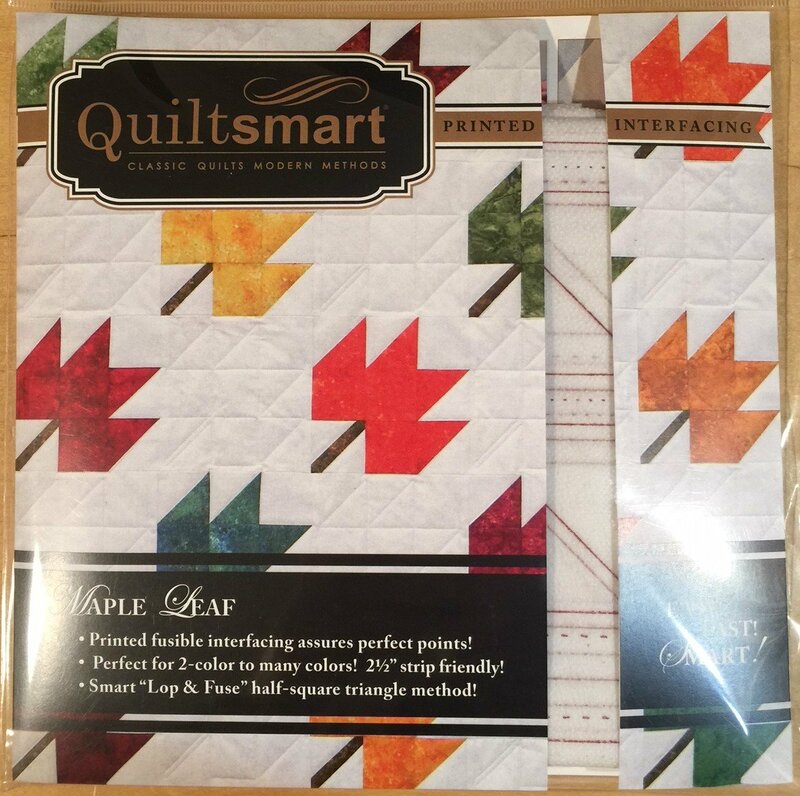 Using Quiltsmart's BearLeaf interfacing, you will glide through making Maple Leaf blocks! METHOD: "Lop & Fuse" - Just place and fuse 2.5" squares on the marked sections of interfacing, stitch on the lines, and press open. When you sew the seams on the solid lines printed on the interfacing, you will get beautiful points, without ever fussing with triangles! It's all squares! Easy, fast, and smart! The Lop & Fuse ruler is a great tool to use. Includes 4 panels of printed interfacing (makes 32 leaves! ), complete instructions with color photos, and design card. Comes in a 9" x 9" pack with 4 panels of interfacing & instructions to make the 4 layouts shown on the back of the pattern (click on image to left and scroll through) or create your own layout. Wall OR Table Runner - 2 panels, Lap or Bed Runner - 4 panels. VARIATIONS: Great for 2.5" strips for a scrappy look! PEEK DOWN (Scroll) to see SUGGESTED PRODUCTS (you will want the Lop & Fuse template! ).